In this work, we search for physical and chemical climatological anomalies preceding major volcanic explosive eruptions (mostly VEI—Volcanic Explosivity Index 4+) occurred from 2002 to 2017, by applying two specific algorithms, i.e. CAPRI and MEANS. 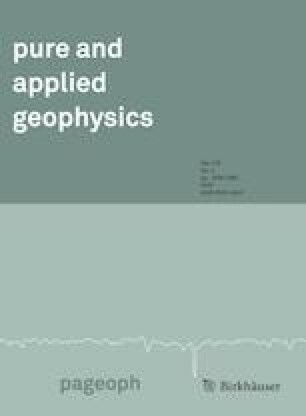 The former algorithm has been already used for a multi-climatological analysis of the Amatrice-Norcia 2016–2017 earthquake preparatory phase (Piscini et al., In: Pure Appl Geophys, 174:3673–3688, 2017). Here we analyse some climatological parameters for a three-month period before each volcanic explosive eruption then we compare the behavior with the typical one of the past. The analysis is applied to an area with dimensions comparable to the volcano crater, because it is the increase of the magmatic camera activity that, in turn, can cause a temperature increase whose evidence could be detected at the surface (Slezin, In: J Volcanol Geotherm Res, 122(1–2), 7–50, 2003), while the use of a larger area would provide a greater probability of occurrence of other events (e.g., other volcano eruption, meteorological storms, etcetera). Therefore, a smaller area of study reduces the risk to get “false alarms”. In particular, we considered thermal skin temperature, (skt) and total water vapour content (tcwv) from ECMWF European centre and aerosol optical thickness (AOT), sulphur dioxide (SO2) and atmospheric dimethylsulphide (DMS) are obtained from NASA MERRA-2 Global Modeling and Assimilation data archive. The latter compound was added in the analysis to check the validity of the method, since we did not expect significant anomalies from this parameter. The models above described are used for their temporal-spatial completeness, allowing performing time series analyses and for a real time monitoring on a global scale. By simultaneous analysis, we found for almost all volcanic eruptions some anomalies in about all analyzed parameters that precede by 75 days to 20 days the explosion. These anomalies are not always simultaneous, but we find an interesting synchronicity that probably reveals a correlation among the different datasets. In addition, the Agung volcano, which has recently started an eruptive activity (25 November 2017) without reaching a VEI4+ explosion, has also been investigated. The data related to this volcano present a small number of anomalies, much lower than all attributed to the other analyzed explosive volcanoes and this is in high agreement with the low-explosive nature of the Agung volcano eruption. We find that the occurrence of thermal anomalies typically preceding stratovolcano/caldera eruptions seems to take place some days after SO2 emissions. The climatological anomalies that precede eruptions at high latitudes usually surround the volcano in a wider area outside the volcanic edifice. We verify that the number of positive anomalies is systematically greater in the year that precedes the investigated eruption with respect to a quiet year of comparison with accuracy from 91 to 100%, suggesting that the applied methods detected climatological anomalies likely related to imminent volcanic eruptions. This work was developed in the framework of SAFE (SwArm for Earthquake Study) and Limadou-Science Projects, funded by the European and Italian Space Agencies, respectively. The authors thank the referees for the interesting and useful comments and suggestions that permitted us to improve the manuscript significantly. ESA/DLR. Sentinels monitor volcanic Mount Agung, 25 January 2018. ESA image id: 387375. https://earth.esa.int/web/sentinel/missions/sentinel-5p/news/-/article/sentinels-monitor-volcanic-mount-agung. Global Volcanism Program, (2013). Volcanoes of the World, v. 4.6.7. Venzke, E (ed.). Smithsonian Institution. Downloaded 24 Apr 2018. https://dx.doi.org/10.5479/si.GVP.VOTW4-2013.